I haven't been using much KNX control in my amati.linea for a while since I only used Spotify up to now. I had all my knx control stuff mapped correctly, but when I try to play anything it doesn't work. I noticed that after factory reset my load averages are huge (2.97, 2.07, 0.95). Later when idle they dropped down to normal values. I tried resetting to factory settings but it didn't work, I'm having the same problem (even the load averages). After factory reset I mapped only one internet radio, play/stop button and volume 1 byte. Whenever I put the play/stop group address to 1 it immediately goes back to 0. It is not in any event/residential script or anything like that. All my amati.lineas have the same settings but only one works. 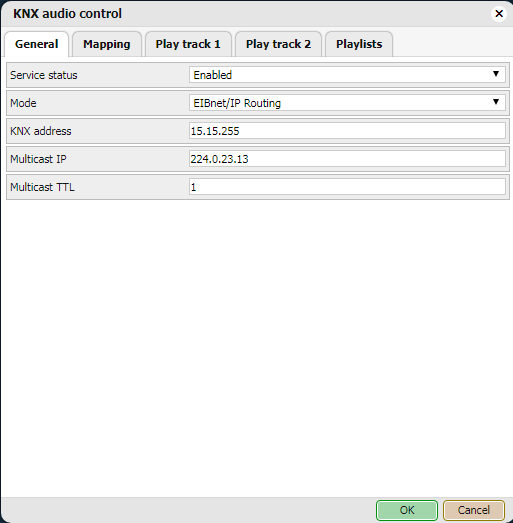 Default multicast IP is 224.0.23.12, you should also change the KNX address from 15.15.255 to something else. 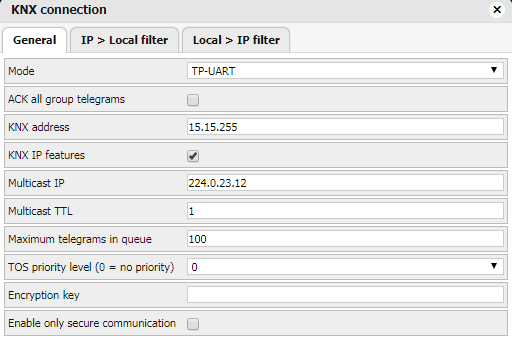 (05.04.2019, 08:45)admin Wrote: Default multicast IP is 224.0.23.12, you should also change the KNX address from 15.15.255 to something else. My multicast address on Logic Machine was also 224.0.23.13 but I changed both LM and Amati.linea multicast addresses to 224.0.23.12 since they are default. I have also changed knx address to 15.15.200. KNX control still doesn't work. Same thing happens, where everytime I change value of Play/Stop group address to 1 it changes back to 0 instatnly. Are you using Spotify? KNX control only works with built-in player but not with Spotify/AirPlay. (05.04.2019, 09:17)admin Wrote: Are you using Spotify? KNX control only works with built-in player but not with Spotify/AirPlay. Well I have upgraded all my amati.lineas to firmware where spotify works. 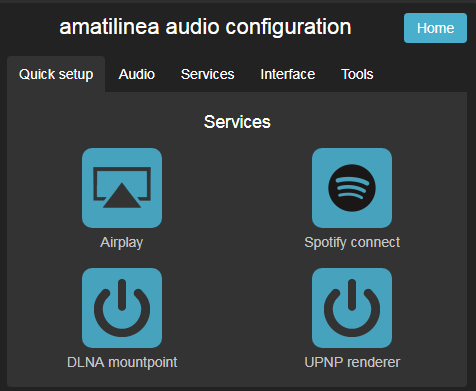 I even have spotify enabled on the Amati.linea where knx control works flawlessly. But no, I'm not using it at the moment nor am I connected to it through spotify. Even if I was, it should've reset itself when restarting / factory resetting amati.linea, shouldn't it? Updated. It deleted the mapping in KNX Audio Control. After I remapped it I noticed the KNX audio control got disabled. I enabled it but it still doesn't work. Same thing where when I change Play/Stop value to 1 it goes back to 0. Normally, when I play something on the working amati.linea I only change value of radio I want to listen to and it automatically changes value of Play/Stop to 1. Now it doesn't happen. EDIT: For some reason I just noticed that the load on the amati.linea was over 3.00. I have no idea why would it be so high. I'm pretty sure it will fade away after a while of idling. Is it possible that there might be something turning off the Play/Stop button but also putting load on the amati.linea? Can I see running processes on the amati.linea as I can on LM? Can you provide remote access to your device via SSH? Yes, I sure can if you would be so kind and guide me through it. EDIT: Because of security reasons this might not be possible, I can provide you with a direct forward via GSM router though. Would that be okay? You need to enable remote diagnostics in system config and forward any external TCP port to port 22 on your device.